HSBC keeps going back in time. Four years after Stuart Gulliver started pruning the global bank, the chief executive has unveiled plans to cut risk-weighted assets by a quarter and shed tens of thousands more employees. After he has finished, HSBC will have gone a long way towards reversing decades of international expansion. When Gulliver took charge in 2010, HSBC had more than 300,000 workers, almost $2.5 trillion of assets, and a return on equity of 9.5 percent. After years of frantic cost-cutting and disposals the bank has 50,000 fewer people, but has added $180 billion in assets, while ROE has slumped to 7.3 percent. True, the goal posts have shifted. Global interest rates have remained lower for longer than anyone expected, weighing on deposit-funded banks like HSBC. Like many rivals, it underestimated the cost of complying with new regulations and paying for past transgressions. Fines and settlements have lopped an average 1.4 percent off ROE every year since 2011. Capital demands keep going up: the bank now sees its equity Tier 1 ratio rising as high as 13 percent – 2.5 percentage points above the level it expected in 2011. That means HSBC is under pressure to be more efficient, while showing that the $22 billion in revenue it derived from its global network last year justified the extra costs. Gulliver is shedding units in Turkey and Brazil, investing in automation, and redeploying risk-weighted assets from the investment bank to areas with better returns. 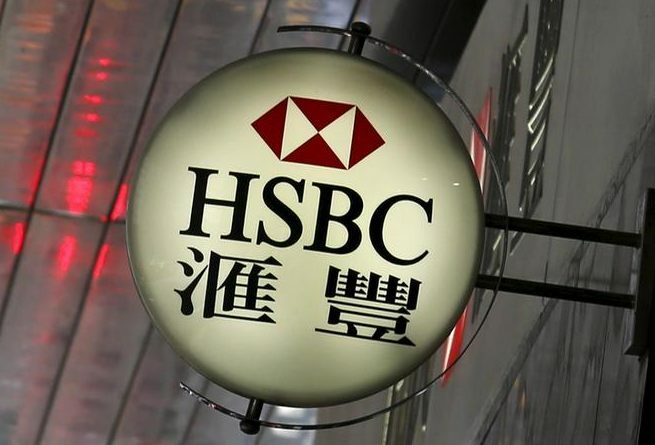 HSBC sees scope to expand in China’s Pearl River Delta and in Southeast Asia. Leaving aside the weirdness of a bank founded in Hong Kong and Shanghai 150 years ago talking about a “pivot” to Asia, this makes sense. The aim is now to get ROE above 10 percent. Nevertheless, investors will have to be patient. HSBC shares are trading around the same level as when Gulliver unveiled his first restructuring in 2011. One factor weighing on the valuation is the bank’s decision whether to move its head office back to Hong Kong, the home market it left in 1994. Though HSBC expects to make a decision this year, the process could take until 2017. Nothing would better demonstrate Gulliver’s determination to wind back the clock. A logo of HSBC is displayed outside a branch at the financial Central district in Hong Kong, China June 2, 2015. HSBC will cut almost 50,000 jobs, take an axe to its investment bank and shrink its risk-weighted assets in an effort to improve its sluggish performance, Europe’s biggest bank said on June 9. The job cuts, which will affect almost a fifth of the bank’s workforce, involve 25,000 staff from the expected sales of the lender’s Brazil and Turkey units and 22,000-25,000 from the consolidation of information technology and back office operations and branch closures. The cuts, to be completed by 2017, will be followed by some hiring in growth businesses and the bank’s compliance division, HSBC said without providing details on how many people will be recruited. HSBC said it will cut risk-weighted assets by $290 billion, roughly a quarter of the amount at the end of 2014. It will also shrink risk-weighted assets in the investment banking business by $140 billion, to less than one-third of the total, from the current level of around 40 percent. The bank set its new target for return on equity at greater than 10 percent by 2017, down from its previous target of 12-15 percent by 2016. HSBC also spelled out the 11 criteria on which it will make the decision whether to shift its head office from London. The bank expects to make a decision before the end of the year.